Plastic bags carry our groceries and our trash, but a church group in Abilene is using bags to carry a little bit of hope. They’re crocheting the bags into sleeping mats for homeless veterans. The mats will provide comfort. But one woman finds purpose in making the mats, even though crocheting is painful because she has a physical disability. 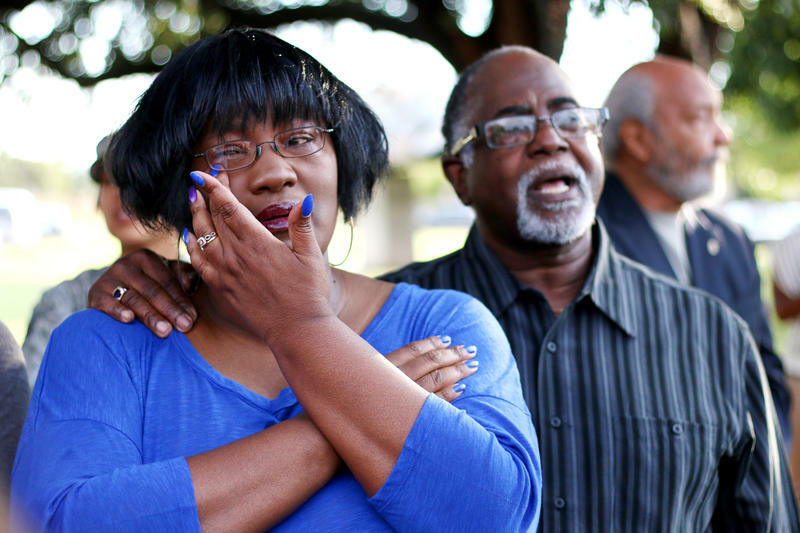 Coming up this Sunday, the Abilene Reporter-News will publish the second part to their series, "Too Many Cries," an investigative report on why Abilene’s region ranks highest in the state for child abuse and neglect. According to Abilene Christian University President Phil Schubert, multiple girls involved in recording a racially offensive video and sending it over Snapchat have been removed from the university. One of Abilene’s oldest U.S. Marine Veterans will be the grand marshal in the Veteran’s Day Parade on Saturday. Ellen Webb, 95, joined the armed forces at the age of 23 during the deadliest war in all of history. She was part of the Marine Corps Women’s Reserve which was founded in 1943, just a year before her enlistment. 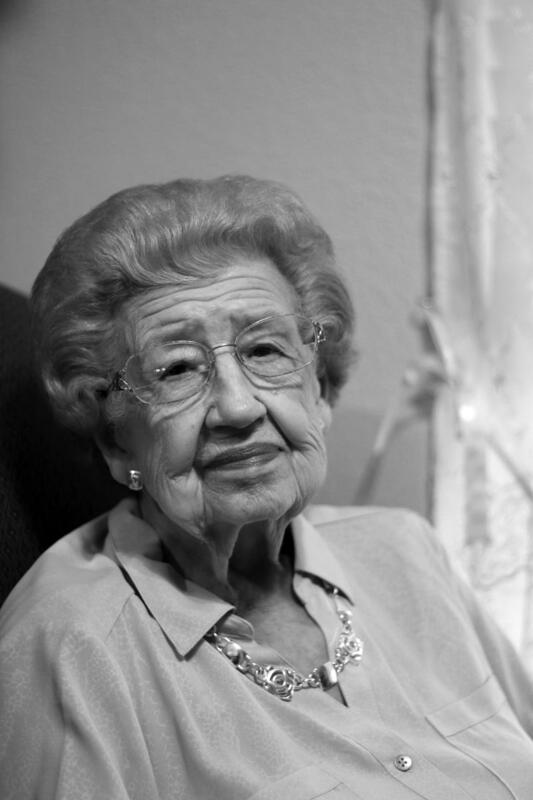 She said she was proud to serve as a stenographer from 1944 to 1946. Abilene Christian University celebrated the inauguration of the Center for the Study of Ancient Religions Texts, or CSART on Thursday. The center strives to inspire students and help them conduct research alongside established scholars. 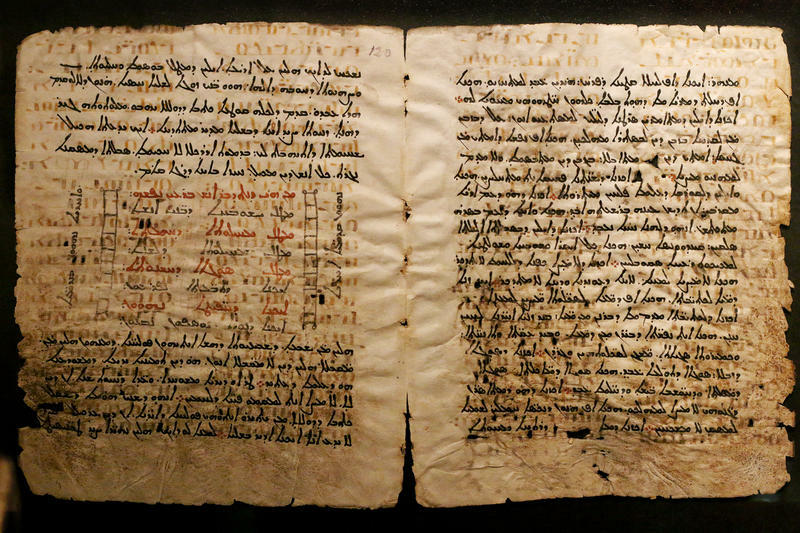 On Thursday, manuscripts that were written as long as 1700 years ago were featured. They were on display in a quiet, temperature-controlled room guarded by a police officer in the Onstead-Packer Biblical Studies building. They say the days of fishnets and tutus are pretty much in the past for Roller Derby. 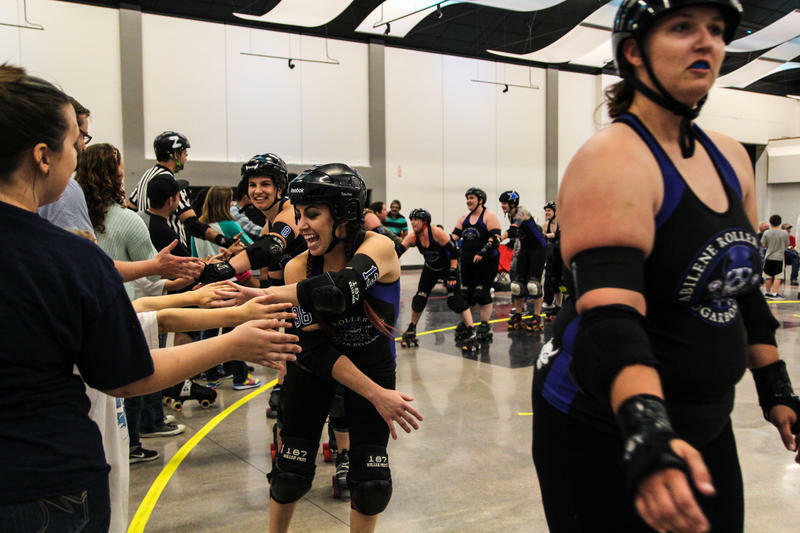 Since its early 2000's revival in Austin, Texas, Roller Derby has moved away from scripted action and staged conflicts similar to those seen in professional wrestling. 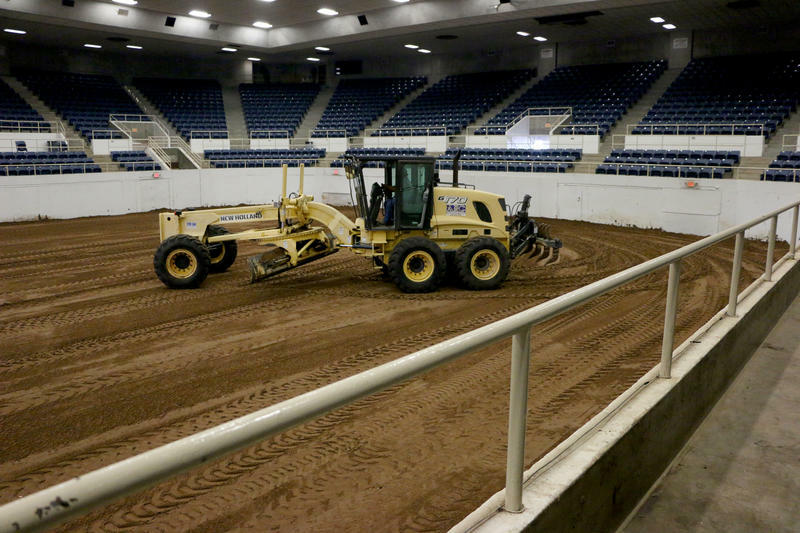 Abilene’s resident Women’s Flat Track Roller Derby team, the Sugarbombs, is no exception. 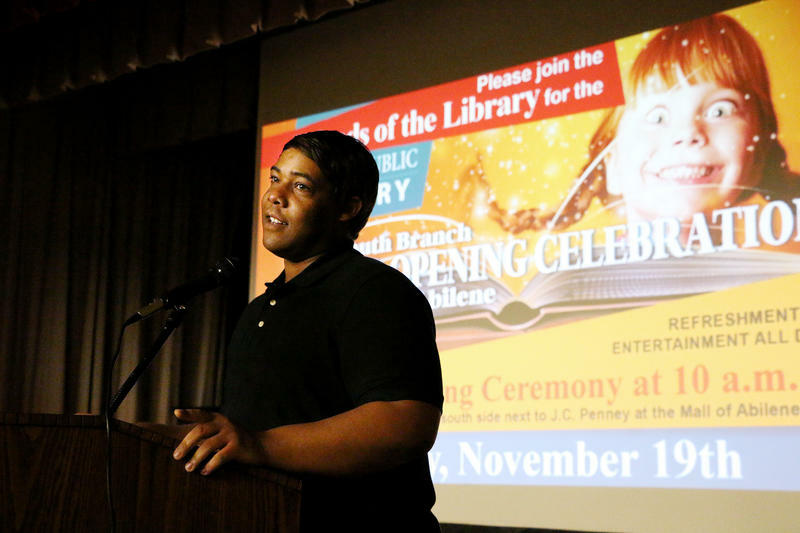 The Abilene Public Library’s South Branch is scheduled to reopen on Nov. 19. Previously on South Fourteenth Street and Danville Drive, the South Branch has been closed since the end of September while library staff transitions to the new location inside the Mall of Abilene. The Taylor County Expo Center office is busy these days with people stopping by to grab “Grow Expo” yard signs that promote the $55-million-dollar bond election that, if passes, will pay for renovations to the Expo Center. 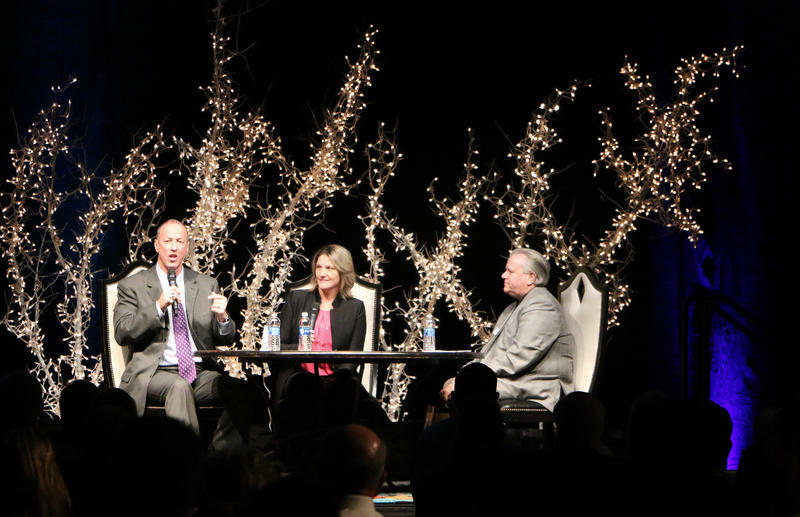 Global Samaritan Resources had a charity dinner Tuesday evening at Abilene Christian University, featuring Jim Kelly and his wife Jill Kelly as guest speakers. 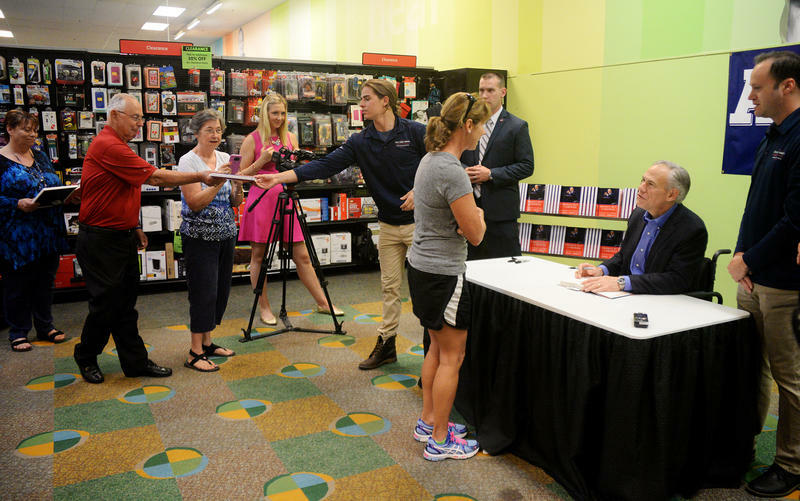 Jim, an NFL Hall of Famer with four super bowl appearances, and Jill, a New York Times best-selling author, talked to a crowd of approximately 800 people about their challenging life in the dinner titled, Stories of Courage and Faith. Their story centered on Jim’s two bouts with cancer, and the couple’s loss of their only son, Hunter, at 8 years old to a rare disease. Three generations in Bob Cowin's family went on a hayride at the opening of the Disability Resources Incorporated Pumpkin Patch Saturday. Each year the family comes to the patch to pick about a dozen pumpkins. 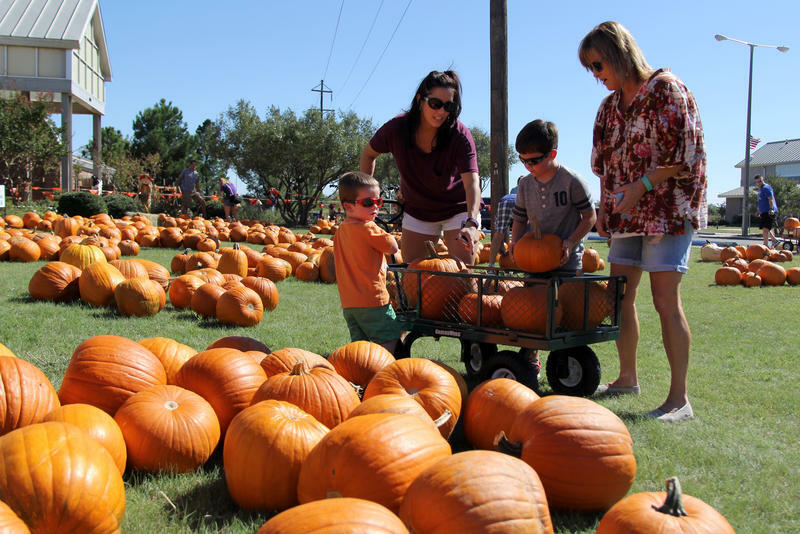 “It's the time of year, it's pumpkins, its for a good cause," Cowin said. This morning Dyess Elementary School students unveiled a Historical Marker on campus that commemorates the date the school was integrated. 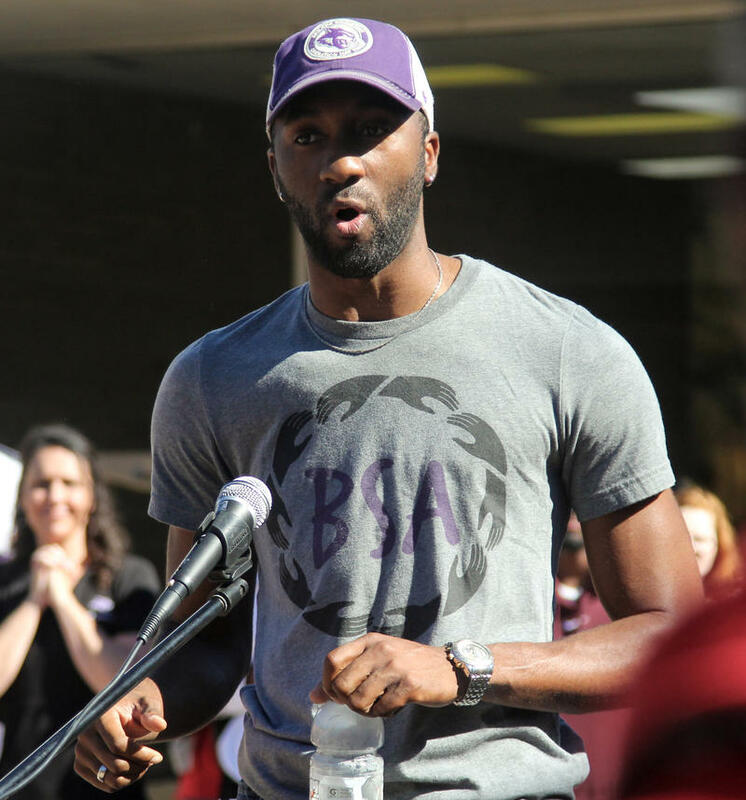 Students, Administrators, Military Personnel, and members of the Dyess Air Force Base African American Heritage Committee were on site to witness the event. Betty Jones was one of the 38 African American students to attend the school after its integration in 1963. 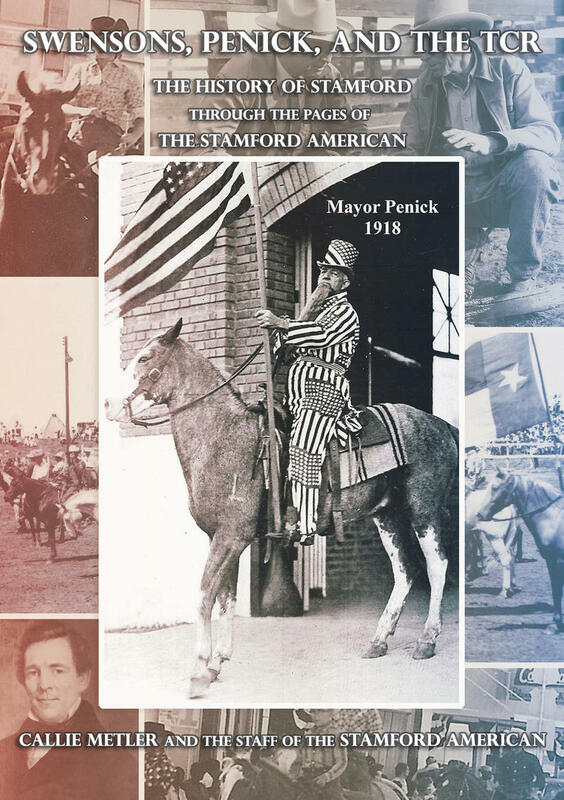 Books may not be the first thing you think of when you hear the word ‘festival’, but at the 16th Annual West Texas Book Festival, they’re the main focus. Authors, publishers and readers have gathered in Abilene this week to highlight the importance of reading and literacy in the community. Starting this week, we're increasing the presence of international news and music in our schedule. 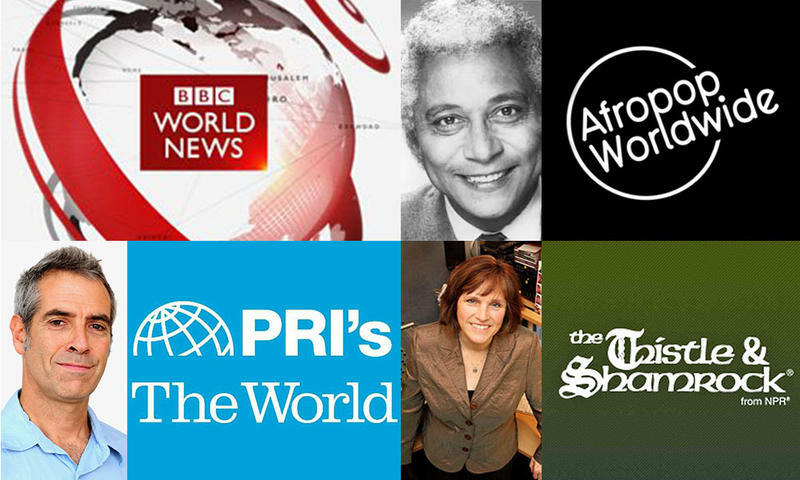 You'll hear more from BBC news anchors throughout the day, and BBC correspondents on a new program, "The World," at 2 p.m. weekdays. "The World" focuses on international stories that remind us how connected we all are. Listen for the Geo Quiz and music interviews that test your knowledge and explore new sounds. Donna Draper was one of the first people in line to meet Gov. Abbott and have her book signed. “I think he’s a very good man, he’s a very conservative, moral, Christian man and I just wanted the opportunity to shake his hand and affirm that I appreciate him,” Draper said. 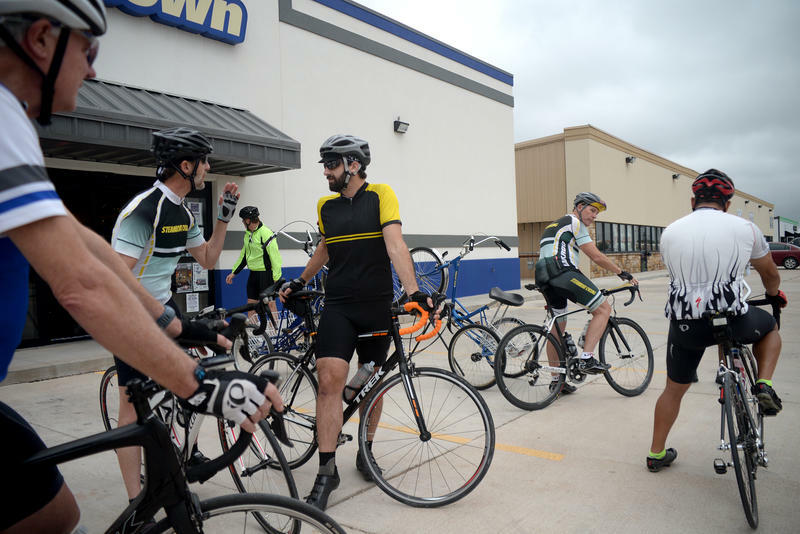 If you’re a cyclist or know someone who rides throughout Abilene then you’re probably familiar with the risks that come with sharing the roads. Some area residents are taking part in the worldwide Ride of Silence bike rally Wednesday to raise awareness for safety and honor cyclists killed in accidents. The first Ride of Silence was held in 2003 in Dallas after endurance cyclist Larry Schwartz was killed by a passing bus on an empty road. Since then it’s been in over 350 locations, 49 US states, 20 countries and seven continents.